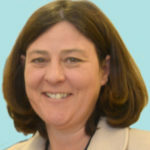 Joanna Carter, who has been the Chief Executive Officer for the PCC since May 2013, has been absent from work due to illness since 29 February 2016. Miss Carter has been unable to return to work and in the meantime she has sought approval to retire on the grounds of ill health. The PCC as Miss Carter’s employer and based on independent expert medical advice has agreed that Miss Carter’s employment should end on 28 February 2018 on the grounds of retirement due to ill health. to make arrangements for another person to undertake the role in the event that the Chief Executive is absent or unable to perform the role. Joanna Carter has been absent from work due to illness since February 2016. The PCC has made interim Chief Executive arrangements in the meantime, most recently under a collaboration agreement with the Police and Crime Commissioner for West Yorkshire which remains in effect. Miss Carter has been unable to return to work in the meantime. At the appropriate time, at her request, she sought approval to retire on the grounds of ill health. This process operates as part of the local government pension scheme rules, under which a medical expert reports to the employer on the individual’s ability to work. The PCC has received such a report and has had the assistance of legal and human resources advice throughout the process. As Miss Carter’s employer, based on the medical certificate, the PCC has agreed that Miss Carter’s employment should end on 28 February 2018 on the grounds of retirement due to ill health. Although ill health retirement cases for police staff are not numerous and all cases are handled according to their own particular features, based on previous case precedents, the time that has been taken in bringing this ill health retirement application to a conclusion has not fallen outside of anticipated timescales for such a process. The public expect the PCC to be open and transparent about senior officer pay. The PCC has decided to apply the same approach to the contractual payments in this case which fall under employment law and NYP employer policy. Miss Carter’s pension entitlements have been notified to her in correspondence and are not set out in detail in this Decision Notice. There are no additional payments required by the PCC into the Pension Fund as a result of this process. Employment law and North Yorkshire Police employer policy set out an individual’s other financial entitlements in these circumstances. In this instance, employment law entitles an individual to be paid in respect of untaken annual leave, which in this case amounts to 69 days and a sum of £28,531.66. Under NYP employer policy, staff who retire on ill health grounds are entitled to receive back pay in respect of any period during their sickness absence, from the date they are referred to the independent doctor, during which their pay was reduced in whole or part. Under that policy a payment is due of £78,465.63 which covers the period since June 2017. The PCC is advised that this is a long-standing policy in place in order to align police staff entitlements with similar police officer rights, and is designed to support members of police personnel whose careers are cut short by ill health including those who suffer injury in the line of police duty. As the public will expect, the PCC is keen to review the way that this policy works, and the cost to the taxpayer that become due as a result of decisions related to this policy. The PCC has notified the UNISON Branch Secretary that she will be commissioning such a review at the earliest opportunity and she will ensure the review is undertaken in full consultation with employee representation. The payments to be made to Miss Carter via the PCC, as her employer, are the contractual payments which fall under employment law and NYP employer policy. There are no discretionary payments or severance payments being made as part of this retirement and no additional payments made into the Pension Fund as a result of this retirement. The PCC’s Chief Finance Officer and S151 Officer has advised that all payments set out within the Decision Notice are those, and only those, that are required as a result of either the Law and/or the current Policies of the organisation and therefore no element of discretion is being applied in the level of the payments being made that are outside of either the law or current organisational policies.